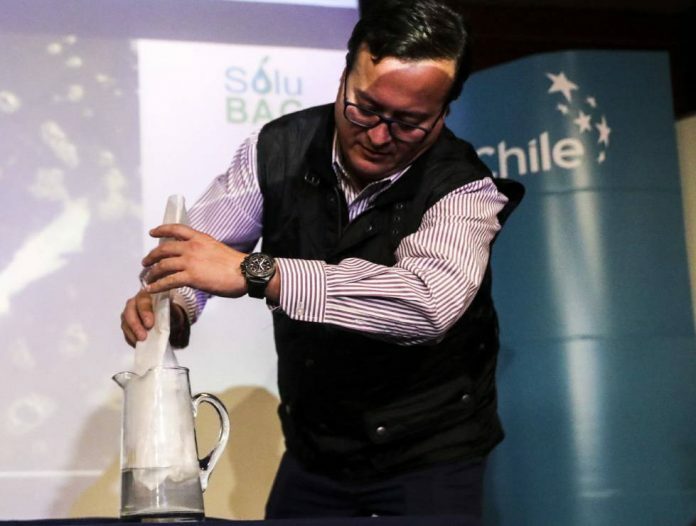 Chile was recently in the news over its decision on plastic bags and a company that has created one that dissolves when placed in water. The bag has caught the attention of a lot of people and it is now being shown around a few cities. One of the first cities to see this creation is Miami. In the event, Patricio Cabezas submerges a plastic bag in water to show how it works. The plastic bag dissolves in water but the creators don’t stop there. They drink the water to show the crowd how clean it is after the process. Cabezas is one of several partners involved in Solubag, a company that was recently in the news after winning the prize for best innovation in Latin America. Solubag was in Miami on Tuesday for the big event, which was also joined by more than 20 other Chilean companies. The plastic bag that dissolves was in the news months ago when it was announced by its creators. The announcement was big news since Chile is trying to do everything to help out the environment. During that event, the creators were seen drinking the water after the plastic bag dissolved. The plastic bag is one of a kind since the majority of plastic bags tend to survive water for a long time. The company’s plan is to reduce pollution in the oceans, where tons of plastic bags end up every year. Cabezas spoke to EFE and said that Solubag’s aim is to reduce pollution. He and his partners worked for plastic manufacturers before coming up with this interesting idea. Solubag’s plastic bag dissolves in around three minutes. A regular plastic bag takes around 500 years to disintegrate. 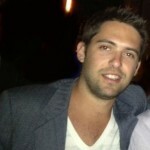 Cabezas revealed that he is in Miami to seek contracts and attempt to raise capital for the company. The company says that the plastic bag they have created is harmless. In the events, they have drank the water after the plastic bag is submerged and dissolved. The event in Miami was one of several where the creators have drank the water. The bags are just as strong as the ones found in supermarkets and stores across the world. The only difference is that they dissolve in a few minutes. Oh and Cabezas says they cost three times more than a regular bag but has also said that the price will drop when it becomes more and more common. In August, Chile became the first South American country to ban plastic bags. The new legislation, approved by Congress and Chile’s President, gives stores around the country two years to make the switch. Large businesses such as supermarkets have been given six months to stop the use of plastic bags. They are currently allowed to give two plastic bags to each customer. After the six months, customers will have to bring their own bags or ways of transporting the items they bought. Some supermarkets are now offering reusable cloth bags for customers. Chile is one of the few that has banned plastic bags this year. In January, Panama announced a similar decision on plastic bags. England was one of the earliest to make a change when it started charging for each bag in 2015. Shoppers around the world use approximately 500 billion plastic bags each year. The numbers mean about a million bags every minute. A high percentage of those plastic bags end up in the ocean.